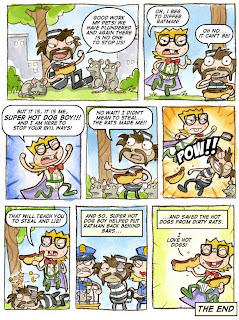 This week's release of Super Villain Island reminded us of a comic series that we published in this humble space over four years ago to promote Super Power Island. 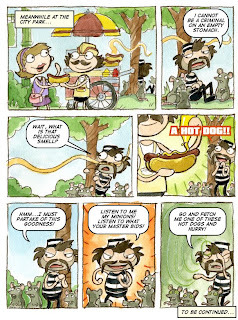 Four years is a long time, and we realized that many of you probably never had a chance to read it. 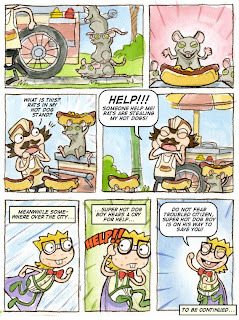 So without further ado, we're happy to re-publish Super Hot Dog Boy! 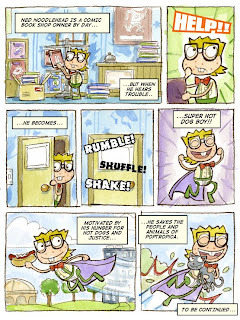 To discover the hero in you, play Super Villain Island, available this Thursday on Poptropica! Super Villain Island arrives tomorrow! Watch the trailer for Super Villain Island! The countdown to Super Villain Island is on! "Arr" you hungry for a good time? When can you play Super Villain Island? Did you get your Super Villain Island gear? Lunar Colony is now available to everyone!